Please join the Cornell Buffalo Business Network (BBN) for a networking lunch at Chef’s on April 24 from noon to 1:30. Please register in advance and contact Peggy Kingsley (mkingsley@mtb.com) with any questions related to this event or the Cornell Buffalo Business Network. Join the Cornell Club of Buffalo on Saturday April 21st as we tour ASSEMBLY HOUSE 150 with founder and noted architect/artist Dennis Maher ’99. Maher will take us through the journey of his organization: from idea inception and stabilizing the structure to current work with SACRA, the Society for the Advancement of Constructed Related Arts, which uses design arts to address critical needs related to neighborhood stabilization, preservation, and workforce training in Western New York. ASSEMBLY HOUSE 150 is an experimental art/architecture space, specializing in the design and display of imaginative environments, furnishings, and aesthetic objects, while hosting public exhibitions, educational programs, and events that enhance the sense of wonder within everyday surroundings. ASSEMBLY HOUSE 150 serves the Buffalo, NY community as an art/design/education incubator. The organization provides opportunities for students and apprentices to participate in projects that enhance their understanding of the built environment while teaching skills in the building arts. It hosts public exhibitions that support the theme of the “urban imagination” and we catalyze projects in collaboration with building industry tradespeople. ASSEMBLY HOUSE 150 is located at 150 Edward Avenue, Buffalo NY 14201. The Club will be meeting Dennis on the site at 10:30AM. Please dress weather appropriate as the church is not heated. Afterwards join us for a dutch-treat lunch at Betty’s, just down the street! Registration is limited to 20 attendees, reserve your spot now! Book club will meet April 17th at the home of Catherine March ’14 to discuss The Brief Wondrous Life of Oscar Wao, by Junot Diaz (Cornell MFA ’95). Diaz will be in Buffalo on April 20th giving a lecture on the novel as part of the Just Buffalo BABEL series. 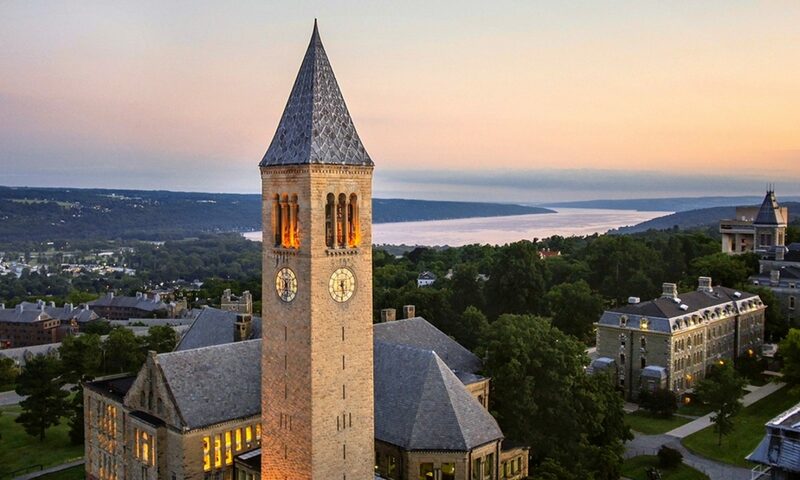 Introducing – your Cornell Faculty Speaker! Please join us at our annual meeting this May 7th – for a Cornell faculty presentation and dinner at the Saturn Club. Come for a cocktail in the Lounge and Loggia Room followed by a delicious buffet of bruschetta, Tuscan pizzas, steak and chicken carvings stations, and dessert. Dinner begins at 6:30 pm. The Club would like to welcome our faculty speaker, Professor Brian R. Davis, Assistant Professor of Landscape Architecture, CALS. Professor Davis conducts research in landscape prototyping, the industrialized rivers in the Americas, and the effect of public space design on water quality in urban rivers. He will be giving a talk on his research and a discussion on Buffalo’s waterways. Tickets are $30 and include dinner and dessert. Cash bar. Registration is now open. Book club will meet on March 20th, discussing a David Grann’s non-fiction work Killers of the Flower Moon. Contact Celinda Crego ’79 at cac432@aol.com to learn more.